William B. HARRIS was born on 29 Oct 1858. He died on 8 Oct 1919. He was buried in Oct 1919 in Woodland Cemetery, Rosebud, Falls, Texas. William married Martha Rossita "Rosa" ROGERS. Martha Rossita "Rosa" ROGERS [Parents] was born on 21 Apr 1863 in Jones Prairie, Milam, Texas. She died on 1 May 1933 in Arlington, Tarrant, Texas. She was buried on 2 May 1933 in Woodland Cemetery, Rosebud, Falls, Texas. Martha married William B. HARRIS. Monroe HOLLINGSWORTH [Parents] was born in 1850 in , , Illinois. Monroe married Anna. Anna. Anna married Monroe HOLLINGSWORTH. Josie HOLLINGSWORTH was born in 1878 in Solomon, Dickinson, Kansas. Earle HOLLINGSWORTH was born in 1880 in , , Kansas. George William EUDALY was born on 20 Jul 1860 in Indianapolis, Marion, Indiana. He died on 24 Aug 1916 in Fort Worth, Tarrant, Texas. George married Julia Saphrenia "Julie" ROGERS on 21 Nov 1883 in , Milam, Texas. Julia Saphrenia "Julie" ROGERS [Parents] was born on 1 Feb 1865 in Jones Prairie, Milam, Texas. She died in May 1949 in San Antonio, Bexar, Texas. She was buried in Fort Worth, Tarrant, Texas. Julia married George William EUDALY on 21 Nov 1883 in , Milam, Texas. Oliver R. EUDALY was born in Sep 1884 in , , Texas. Myrtle E. EUDALY was born in 1885. She died in 1885 in Died In Infancy. She was buried in Little River Batist Church Cemetery, Jones Prairie, Milam, Texas. M iii Ernest Rogers "Hico" EUDALY "Sr" was born on 20 Jul 1887. He died on 5 May 1975. F iv Gertrude E. EUDALY was born on 19 Nov 1888. She died on 28 Apr 1974. F v Florence Katherine EUDALY was born in Nov 1890. She died on 17 Oct 1989. 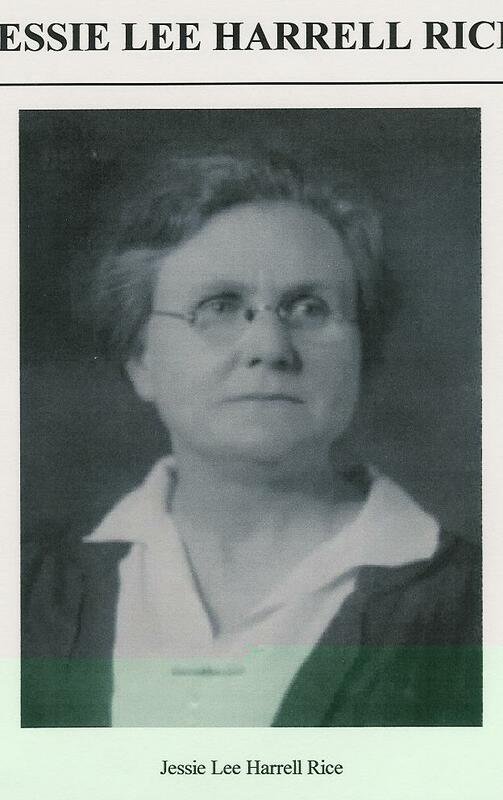 F vi Mary M. EUDALY was born in May 1892. She died on 15 May 1967. F vii Carolyn Evelyn EUDALY was born about 1893. She died in 1888. William Edgar ROGERS [Parents] was born on 5 Feb 1867 in Jones Prairie, Milam, Texas. He died on 19 Oct 1943 in Marlin, Falls, Texas. He was buried on 21 Oct 1943 in Little River Baptist Church Cem, Jones Prairie, Milam, Texas. William married Grace KNUDSON. Grace KNUDSON [Parents] was born on 18 Feb 1870 in , , Wisconsin. She died on 30 Dec 1964 in Marlin, Falls, Texas. She was buried on 31 Dec 1964 in Calvery Cemetery, Marlin, Falls, Texas. Grace married William Edgar ROGERS. F i Marjorie ROGERS was born on 15 Aug 1898. She died on 10 May 1978. 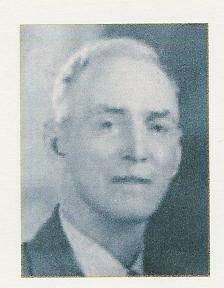 Dr. Madison Woodson "Matt" ROGERS [Parents] was born on 26 Aug 1872 in Jones Prairie, Milam, Texas. He died on 27 Dec 1960 in Rule, Haskell, Texas. He was buried in Rule Cemetery, Rule, Haskell, Texas. Madison married Vera Mariah JOHNSON on 10 Oct 1910. Vera Mariah JOHNSON [Parents] was born on 23 Mar 1885 in Anson, Jones, Texas. She died in 1957 in Stamford, Jones, Texas. She was buried in Rule Cemetery, Haskell, Texas. Vera married Dr. Madison Woodson "Matt" ROGERS on 10 Oct 1910. F i Frances ROGERS was born about 1911. She died in 2007. F ii Esther Louise ROGERS was born on 8 Apr 1915. She died on 24 Dec 2001. James Armstead RICE "Sr" [Parents] was born on 1 Sep 1868 in Jones Prairie, Milam, Texas. He was christened in Baptist. He died on 4 Mar 1935 in Brownwood, Brown, Texas. He was buried in Mar 1935 in Greenleaf Cemetery, Brownwood, Brown, Texas. James married Jessie Lee HARRELL on 23 Dec 1896 in , Milam, Texas. Jessie Lee HARRELL [Parents] was born on 7 Aug 1879 in Maysfield, Milam, Texas. She was christened in Baptist. She died on 27 Jan 1938 in Brownwood, Brown, Texas. She was buried on 28 Jan 1938 in Greenleaf Cemetery, Brownwood, Brown, Texas. Jessie married James Armstead RICE "Sr" on 23 Dec 1896 in , Milam, Texas. M ii Judge Harrell Henry RICE was born on 18 Nov 1901. He died on 10 Aug 1970. M iii Irving Grady RICE was born on 23 Jan 1905. He died in 1993. F v Mary Louise RICE was born on 23 Feb 1912. She died on 16 Feb 1974. M vi James Armstead RICE "Jr" was born on 22 Jan 1915. He died on 16 Dec 1982. 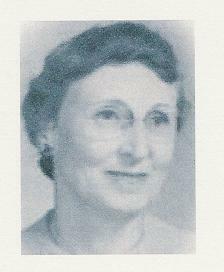 F vii Florence Joy RICE was born on 2 Nov 1917. She died on 22 Oct 1990. Stephen Gardner HOLLINGSWORTH [Parents] was born on 22 Nov 1832 in , Miami, Ohio. He died on 5 Dec 1900 in Woodward, Woodward, Oklahoma. Stephen married Phebe RALEY on 22 Oct 1856 in Western Plains, Marshall, Iowa. Phebe RALEY was born on 1 Sep 1834 in Flushing Mm, Belmont, Ohio. She died on 12 Jul 1890 in , Jewell, Kansas. She was buried in Oak Creek, Jewell, Kansas. Phebe married Stephen Gardner HOLLINGSWORTH on 22 Oct 1856 in Western Plains, Marshall, Iowa. M i Thomas HOLLINGSWORTH was born on 9 Sep 1857. He died on 6 Oct 1941. F ii Elsa HOLLINGSWORTH was born on 23 Aug 1859. She died on 27 Sep 1947. M iii Anson HOLLINGSWORTH was born on 23 Aug 1859. He died on 10 Apr 1945. F iv Mary HOLLINGSWORTH was born on 28 Feb 1862. 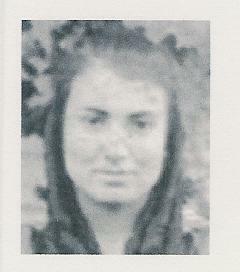 She died on 2 Aug 1942. F v Ann HOLLINGSWORTH was born on 23 Sep 1864. She died on 31 Jul 1947. Glenn HOLLINGSWORTH was born on 24 Aug 1867 in , Marshall, Iowa. He died on 3 Oct 1963 in Wolf Point, , Montana. F vii Clarisa HOLLINGSWORTH was born on 12 Sep 1869. She died on 11 Sep 1959. William Henry "Bud" RICE "Jr" [Parents] was born on 2 Apr 1870 in Jones Prairie, Milam, Texas. He died on 8 Oct 1961 in Brownwood, Brown, Texas. He was buried in Oct 1961 in Pleasant Valley Cemetery, Brown, Texas. William married Allison Estelle "Allie" ALEXANDER on 22 Dec 1897 in , Milam, Texas. Allison Estelle "Allie" ALEXANDER [Parents] was born on 20 Feb 1878 in , Pontotoc, Mississippi. She died on 8 Jun 1948 in May, Brown, Texas. She was buried in Jun 1948 in Pleasant Valley Cemetery, Brown, Texas. Allison married William Henry "Bud" RICE "Jr" on 22 Dec 1897 in , Milam, Texas. F i Annie Mae RICE was born on 31 Dec 1899. She died on 6 Jun 1986. M ii Earl Alexander RICE was born on 11 Mar 1902. He died in Jul 1979. F iii Mary Lee RICE was born on 13 Nov 1903. She died on 15 Dec 1982. F iv Dorothy Sue RICE was born on 27 Dec 1905. She died on 1 Oct 1961. F v Nettie Ione RICE was born on 9 Apr 1909. She died on 12 May 1985. RICE was born on 6 Nov 1912 in , Brown, Texas. RICE died on 6 Nov 1912 in , Brown, Texas. F vii Agnes Olene RICE was born on 11 May 1916. She died on 19 Nov 1988. William Evans "Bill" ROUTH [Parents] was born on 18 Jan 1860 in Bonham, Fannin, Texas. He died on 7 Aug 1940 in Zephyr, Brown, Texas. He was buried on 7 Aug 1940 in Blanket, Brown, Texas. William married Jessie Eugenia RICE on 27 Sep 1897 in , Brown, Texas. 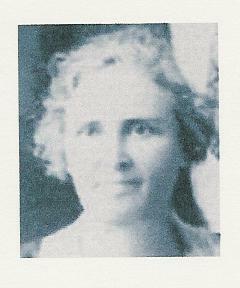 Jessie Eugenia RICE [Parents] was born on 29 Aug 1873 in Jones Prairie, Milam, Texas. She died on 24 Apr 1926 in Brownwood, Brown, Texas. She was buried in Apr 1926 in Blanket, Brown, Texas. Jessie married William Evans "Bill" ROUTH on 27 Sep 1897 in , Brown, Texas. M i Alfred Pace ROUTH was born on 15 Jul 1898. He died on 10 Feb 1958. F ii Florence Annie ROUTH was born on 18 Dec 1899. She died on 5 Jul 1978. F iii Sadie Isletta ROUTH was born on 23 Feb 1901. She died in Feb 1986. Desde True ROUTH was born on 22 Aug 1902 in , Brown, Texas. She died on 5 Sep 1982 in Midland, Midland, Texas. Robert William ROUTH was born on 18 Jan 1904 in , Brown, Texas. He died on 24 Nov 1904 in , Brown, Texas. F vi Billy Kate ROUTH was born on 30 Apr 1905. She died on 25 Jul 1993. F vii Nellie Eugenia ROUTH was born on 5 Mar 1909. She died on 21 Feb 1999. M viii Jonathan Norris ROUTH was born on 20 Aug 1911. He died on 4 May 1965. F ix Connie Lee ROUTH was born on 7 Mar 1914. She died on 14 May 1984.